Before we started using, most of us had a stereotype, a mental image of what addicts were supposed to look like. Some of us pictured a junkie robbing convenience markets for drug money. Others imagined a paranoid recluse peering at life from behind perpetually drawn drapes and locked doors. As long as we didn’t fit any of the stereotypes, we thought, we couldn’t be addicts. As our using progressed, we discarded those misconceptions about addiction, only to come up with another: the idea that addiction was about drugs. We may have thought addiction meant a physical habit, believing any drug that didn’t produce physical habituation was not “addictive.” Or we thought the drugs we took were causing all our problems. We thought that merely getting rid of the drugs would restore sanity to our lives. 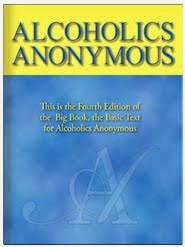 One of the most important lessons we learn in Narcotics Anonymous is that addiction is much more than the drugs we used. Addiction is a part of us; it’s an illness that involves every area of our lives, with or without drugs. We can see its effects on our thoughts, our feelings, and our behavior, even after we stop using. 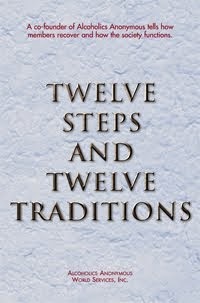 Because of this, we need a solution that works to repair every area of our lives: the Twelve Steps. Just for today: Addiction is not a simple disease, but it has a simple solution. Today, I will live in that solution: the Twelve Steps of recovery.